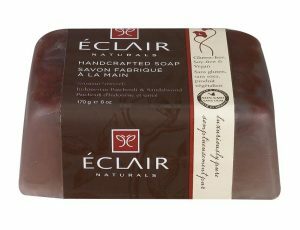 Éclair Naturals Products are Beauty Must-Buys! Éclair Naturals, a new luxuriously pure hair and body care line, brings the best of nature at an affordable price with sustainably sourced and produced products! The brand uses natural food grade ingredients to create unique and efficacious formulas that are non-GMO, gluten free, soy free, vegan, and cruelty-free, and proudly made in the USA. 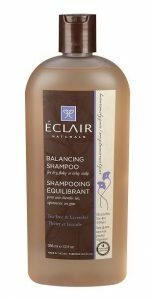 I love how the Balancing Shampoo smells and leaves my hair clean and the Balancing Conditioner leaves my hair really soft! ALOE BARBADENSIS (ALOE VERA) LEAF JUICE: Extracted from the inner part of the leaves of the Aloe Barbadensis plant, this skin conditioner and moisturizing agent also contains antimicrobialand anti-inflammatory properties. Featured in: All Over Lotion,Shower Gel, Liquid Hand Soap, Hand Sanitizer, Deodorantand Foaming Hand Soap. 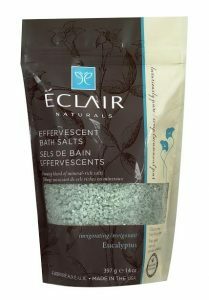 Check out EclairNaturals.com for a full list of ingredients which combine innovative science with nature; virtually all products are $10 and under at Rite Aid, RiteAid.com, and Target.com. I am amazed at the affordable prices and how well these products work! Did I also say how good they smell? These are all Beauty Must-Buys! Self Disclosure: I received free samples to facilitate this Beauty Post. Photos and info were also provided. Having a Birthday Party? The Goodie Gusher is a Must-Buy! Do you have a child who will soon be having a party? The Goodie Gusher will add fun to any party! I really like that it is easier and that children do not have to use a stick or a baseball bat. It’s actually a much safer way to enjoy candy piñata style! Children of all ages will love it! 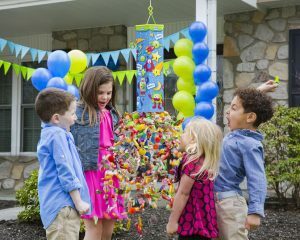 Call it piñata 2.0 – The Goodie Gusher is easy to fill and refill, reusable, children of all ages can play without assistance, and there is no chance of anyone getting bonked with a stick. Instead of smashing a cute creature to smithereens, the kids take turns pulling keys until someone finds the Magic Key. Once the Magic Key is pulled, the Goodie Gusher will release a wide shower of party treats. Refill Goodie Gusher with treats and prizes, and play it again. Great for indoor or outdoor use. This mom inspired, dad invented fun party game is available at Walmart and at www.partycity.com; $20; www.goodiegusher.com. Self Disclosure: I received a free sample to facilitate this post. Photos were provided. Your home may feel empty at times although you’ve purchased the most modern furniture on the market. The problem doesn’t come from quality; it comes from wrong choice of items. The most challenging thing about interior décor isn’t picking the right theme. The biggest challenge comes in mixing all these elements together and creating a meaningful whole. This is because most people tend to neglect smaller items giving advantage to bigger, more noticeable furniture. Here is a list of 5 small items that you might’ve missed while decorating your house. When it comes to armchairs, people usually see them as a piece of furniture that should always go together with sofa and other sitting elements. Due to this fact, people neglect them. This is a bad call. Armchair isn’t only something you sit on; it is an inseparable part of your personal space. It is the best place to sit and enjoy a night cap. Also, it is perfect for reading. In terms of décor, it increases classiness of home turning you from a homeowner to a master of a property. Mirrors are actually amazing items for decoration. Most of us have trouble finding the right theme for our walls. Some of us try to cover this nakedness by purchasing cheap art or even worse, posters. Even though they might look good for certain homes, there are still better alternatives. Big, classy mirror is a great way to create a fashionable impression while saving some money. At the same time, no one will accuse you of being cheap. Ottoman is a great alternative to an armchair. However, it has a slightly different use. Unlike armchair, this piece of furniture works well with sofa. Also, it can be used by multiple persons. Regardless, it is undeservingly popular. You can fix this. Ottoman is really exotic. It makes guests feel as if they are in a far-away country. If you wish to create a unique feeling, you should definitely consider getting one. Settee is a specific product. It is an extended armchair that is perfect for couples. If you and your partner are romantics, this is something that will be great for you. It takes a bit more space than other similar furniture pieces but it is much warmer. Due to its use, it makes a room feel much more comfortable and homey. When I say poster, I am not referring to some random stuff on your wall. Posters can be a great addition to any home. Best thing you can use are high quality photographs. They are really modern and a great fit for high-end homes. Posters are a great solution for walls. Let’s be honest; most people do not have money for expensive pictures. Instead, they might choose to go for something cheaper which is even worse. If you wish to add some class, it is much better to place a poster with a nice frame. Although these are all great ideas, you are the one that needs to make a call. Before you make the decision, you also need to consider rest of your interior and how will it fit. Truth of the matter is; all these small items bring warmth to your home. It would be absurd to completely exclude them. Nick Stoyanov is a content strategist for HollywoodMirrors.co.uk – a family-run business, established in 2005 by a mother and son team. The company is based in the United Kingdom and sells mirrors with lights online. Credit: Hollywood Mirrors. Compensation was received to post.